The understanding of magic in the modern world is limited and somewhat frightening. It is associated either with Harry Potter and fantasy books, or with fortune tellers and imams, who carry out rituals to harm other people. Magic is much more than that. It has been accompanying our civilisation since its very beginning. It is actually the first science and philosophy of mankind, which tries to explain the laws of nature and the forces that drive our lives. If you want to know what we’ve failed to understand about magic, what it really is, and how to get rid of our misconceptions, then you should join us for breakfast. Besides this, Georgi will also give you some tips on how to take advantage of this universal ancient knowledge, which will help you deal with the stressful daily life. Georgi Hristov has been studying shamanism for more than 15 years and has been practicing ways to improve the quality of our daily lives. A traveller and a tour guide to places of high energy and power in Bulgaria and abroad. He teaches Free dancing and Intuitive singing, and has been coached by the Russian mage Fargat. 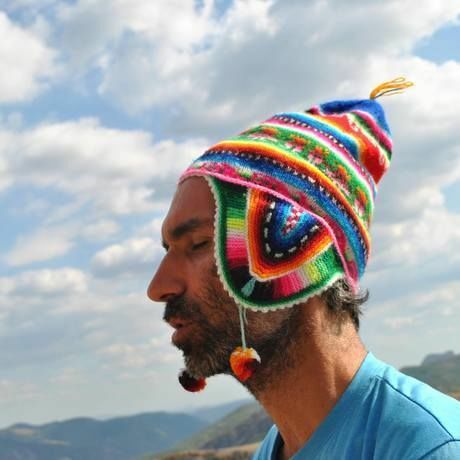 He has been initiated in the Andean cosmogony in December 2009 and January 2010 in Peru and Bolivia, and taught in the shaman ceremony despacho in November 2013 in Peru. Since his studies in Center for eastern languages and cultures in the Sofia University, where gets academically introduced to shamanism, he hasn’t stopped studying this tradition and its manifestations. But not just in theory - rather in investigative travels to the holy mountain Sierra Nevada de Santa Marta in Columbia and the lake Baikal in Russia. Over the last 10 years he has had the opportunity to directly practice and study the shaman rituals in Peru, Siberia, Bulgaria, Columbia, and Kerala, South India.